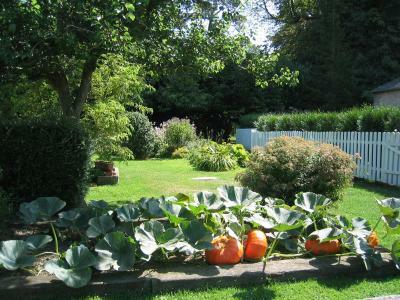 Lock in a great price for Chateau La Cheneviere – rated 9.2 by recent guests! Lovely setting and location. Caring and attentive staff. Wonderful amenities. The staff was very welcoming, the room comfortable, and the food amazing! Beautiful location with stunning, but quiet grounds. 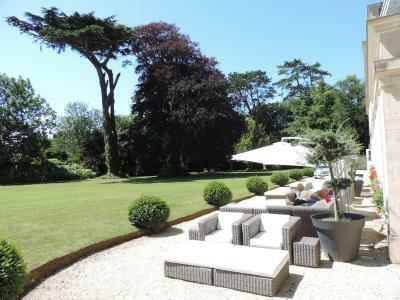 In the heart of Normandy without staying in the bustle of the city. Amazing restaurant. Very comfortable bed. Beautiful well maintained grounds. The grounds are lovely. Pool area nice. Veggie and flower garden a highlight and it was nice to have the small gym to ourselves during our stay. Bed comfortable and bathroom facility very nice. Bedroom was beautiful (get staff to show you how to work shower/bath!). Dinner in the restaurant was sublime and better than some michelin starred restaurants I have dined in. Staff incredibly, helpful, courteous and polite. Degustation menu was excellent, staff friendly , and knowledgable. At Port-en-Bessin, situated between the D-day landing beaches and the town of Bayeux in the heart of historic Normandy, stands the charming 18th century Chateau La Chenevièr. The chateau delivers the cozy charm and mannerisms of an old English manor decorated with genuine antique furniture and contemporary accessories and fabrics. It also features a plush dining room, overlooking an English-style park, where you can experience the distinctive flavors of Normandy and select from an extensive wine list. This property is also rated for the best value in Port-en-Bessin-Huppain! Guests are getting more for their money when compared to other properties in this city. When would you like to stay at Chateau La Cheneviere? 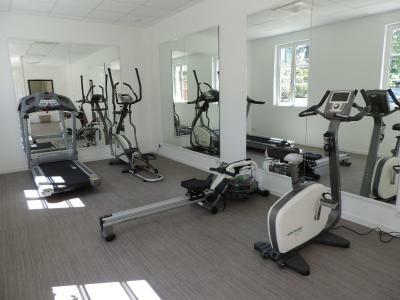 These rooms are located in the main building or in La Forge or La Commanderie annexes. Each one is individually decorated in an elegant style. Hydro massage bathtubs and air conditioning available in la Commanderie et La Forge. This room cannot accommodate an extra bed or a children's cot. Maximum occupancy is 2 people. Elegant and spacious junior suites are individually decorated. Hydro massage bathtub and air conditioning in la Commanderie et La Forge. This suite can accommodate an extra bed upon prior request and at a surcharge. 3 comforatable spacious suites with private lounge , located in La Commanderie and La forge. This suite can accommodate up to 2 extra beds upon prior request and at a surcharge. 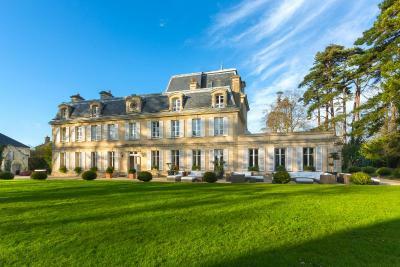 Set close to Omaha Beach and the historic town of Bayeux,Chateau La Cheneviere lies at the end of a long drive. Arriving on the estate is like strolling onto the lands of an English Lord who fell under the spell of Calvados region. 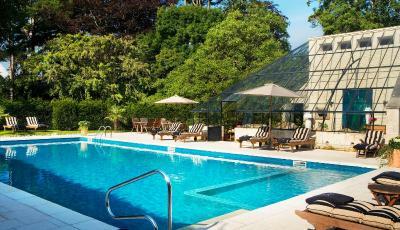 The manor combines the charms of an old house with the conveniences of a cosy English Manor. 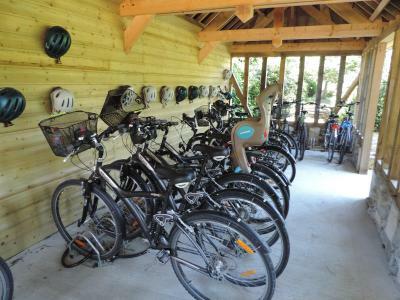 The restaurant allows you to explore all the distinctive flavours of Normandy.A heated outdoor pool, a splendid terrace and bicycles for you to enjoy! House Rules Chateau La Cheneviere takes special requests – add in the next step! Chateau La Cheneviere accepts these cards and reserves the right to temporarily hold an amount prior to arrival. 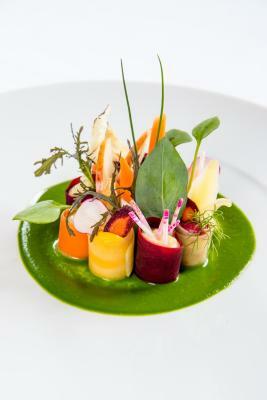 Please note that the restaurant is open from May 16th to September 30th only at lunchtime and from Monday to Friday. but just off the highway so traffic noise. Our room was small and dark with views only of the parking lot, really. Breakfasts were good, and service was friendly and prompt. Dinner was not up to standards of such a fine establishment, especially for the price (though service was friendly and prompt). Service at the pool was sparse. Bikes available, but nowhere to ride where traffic wasn't an issue. Experience may have been different if we had stayed in the big house with view of back lawn, and more light. Breakfast very expensive for what it was - perhaps they could offer a continental breakfast for a lesser price! The staff as a whole are "off with the fairies"; the girl who took us to our room on arrival took us (with all our bags) to the wrong room: service in the restaurant was haphazard - no wine list until I asked for it, then brought the wrong wine, not the one I ordered, general level of ditzyness all round, not very professional. Only 3 dishes on the A La Carte menu for both starter and main, so to be told on both days we dined that one of the 3 main courses was "off" with no alternative being offered was unacceptable. The food was good but not special. Told Reception on our last night that we needed to leave early the next day to catch the ferry, but when we went down the next morning no one was there, we had to go and find someone and our bill was not ready. That sort of thing is useless. Enjoyable one night stay, lovely large bedroom. Excellent dinner which restored my faith in French cuisine.